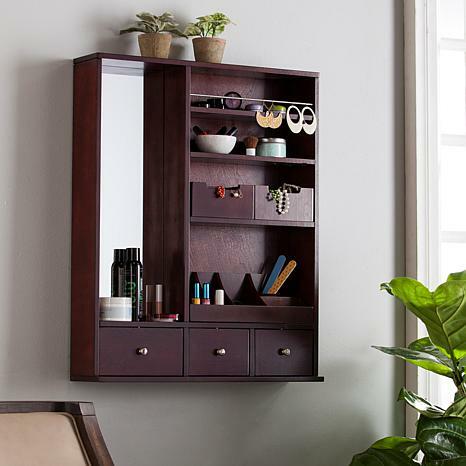 Discover an organized world with this over-the-door makeup mirror and storage center. 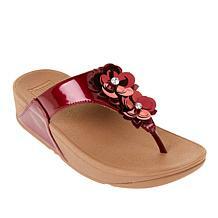 Simple, linear silhouette works well with others, rich espresso hue blends into any style scene. Plenty of compartmentalization sits within reach, organizing everything from hair accessories to toiletries, sets of keys to spice jars. Cure your clutter, for once and for all, with this over-the-door styling caddy in the dressing area, bath, or entryway; or wall mount a floating storage station in the kitchen, home office or craft room. Door must have 0.25" H gap to fit hooks.